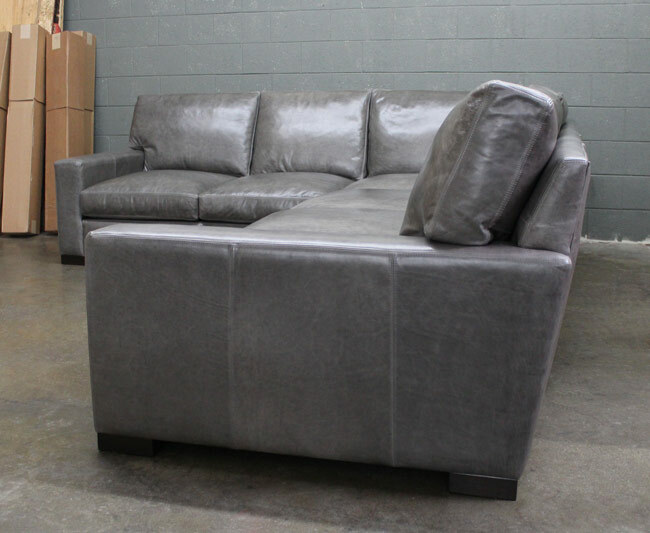 This incredible piece is dressed in Italian Glove Timberwolf leather (Mont Blanc Timberwolf) and is headed up the West Coast to Gresham, Oregon. 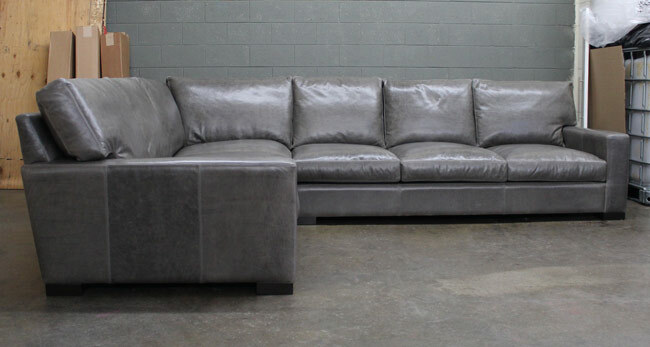 Our Braxton Leather L Sectional, measuring in at 133″ on the long end, and 105″ on the short end, can be made with several different cushion configuration options. 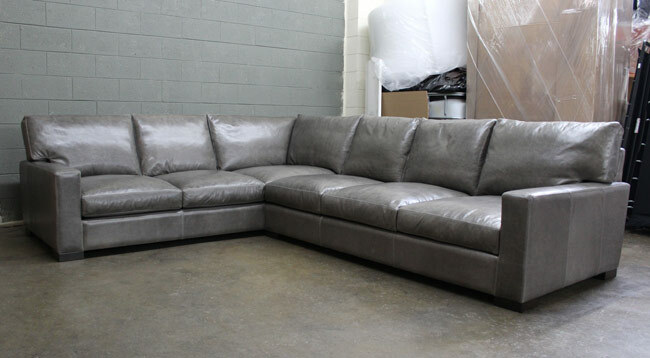 It is shown here with 3 cushions on the Right Arm Facing side of the Corner Seat, and 2 cushions on the Left Arm Facing side of the Corner Seat but can be made with wider, bench style cushions as well. This customer selected to have “ears” on the end back cushions (that part that hangs over the arm) and selected the extra deep 46″ version. We’re big fans of the Glove Timberwolf (Mont Blanc Timberwolf) leather! It shares all the same natural markings, scars and beauty of Italian Brompton (It’s made in the same tannery, using the same hides and process!) with loads of character and color variation. 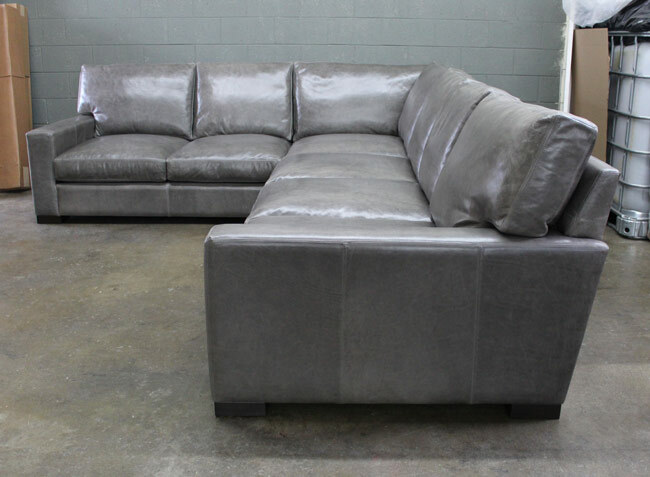 This entry was posted in Braxton, Custom Leather Order Feed and tagged 46" Deep, braxton collection, braxton L sectional, braxton sectional, Glove, Glove Timberwolf, Mont Blanc Timberwolf on January 22, 2016 by LeatherGroups.